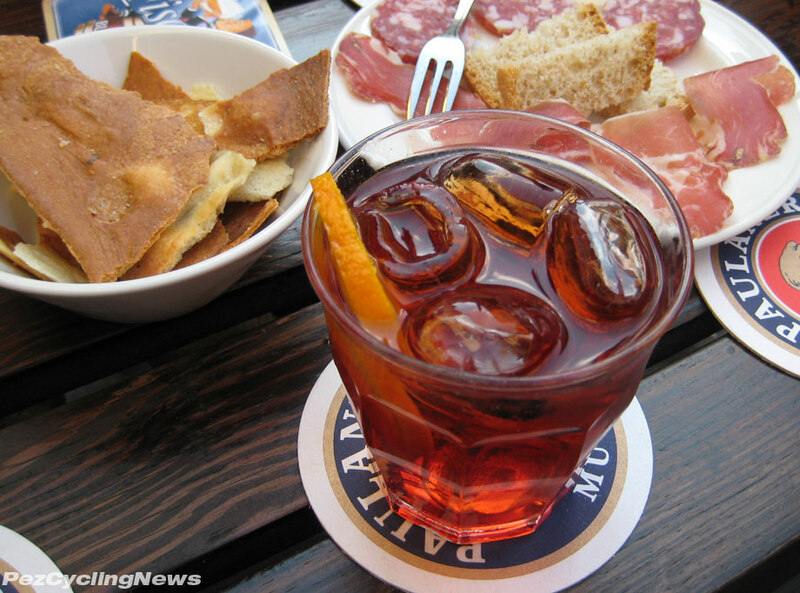 PezCycling News - What's Cool In Road Cycling : It’s Negroni Week: Back to Barolino! It’s Negroni Week: Back to Barolino! Negroni Week on PEZ wouldn't be complete without homage to a true maestro of mixology. 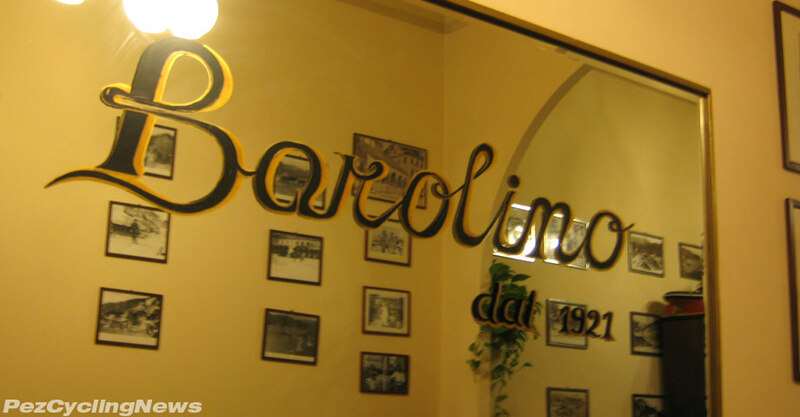 I speak only of Marco - proprietor of the legendary Barolino in Levanto Italy. I vowed after first discovering his bar at the 2009 Giro to return one day with Mrs. Pez - and order two of his finest Negronis. You may recall I first stumbled into Barolino while in town for the 2009 Giro’s 13th stage – that gruesome 65km time trial up and down along the coast – and stumbled out with a new friend. But not just any friend… Marco. This guy is an original, one of a kind, a limited edition where they never made a model #0002. He’s a character in the truest sense of the word. And it’s not that I know him all that well – geez , I’ve spent a few hours of my entire life in his company. But while in my middle age, I trust people less and my instincts more, and wholly admit to making snap personality judgments based on little more than first impressions, all of my subsequent impressions of Marco have be spot on and reaffirmed my initial call. It was a year since I’d spent two excellent nights drinking in his fine establishment, which first impressed me with his huge selection of scotches, I wrote a story about it, and instantly vowed to return someday, hopefully with Mrs. Pez, so she could see for herself what an awesome place this is, and hopefully confirm that I wasn’t slightly off my rocker, lost in some kind of negroni-fueled bro-mance. To recap – Marco has worked at Barolino for over 30 years now, he got it from his dad, who before that was a merchant seaman like so many of the generations of men who live along the rugged Ligurian coast. Some might consider doing one thing for so long as a sentence of sorts, even draining your daily life out bit by bit. We’ve all seen people like that. But just the opposite is true at Barolino. Maybe it’s because Marco possesses a ‘glass is always full’ attitude, or maybe he has simply found his calling and knows when not to mess with a good thing, but his enthusiasm for running his bar, and I suspect life in general, is refreshing, infectious, and spilling over every drink he pours. Everyone knows I love a good negroni, and the best ones of course are poured in Italy. 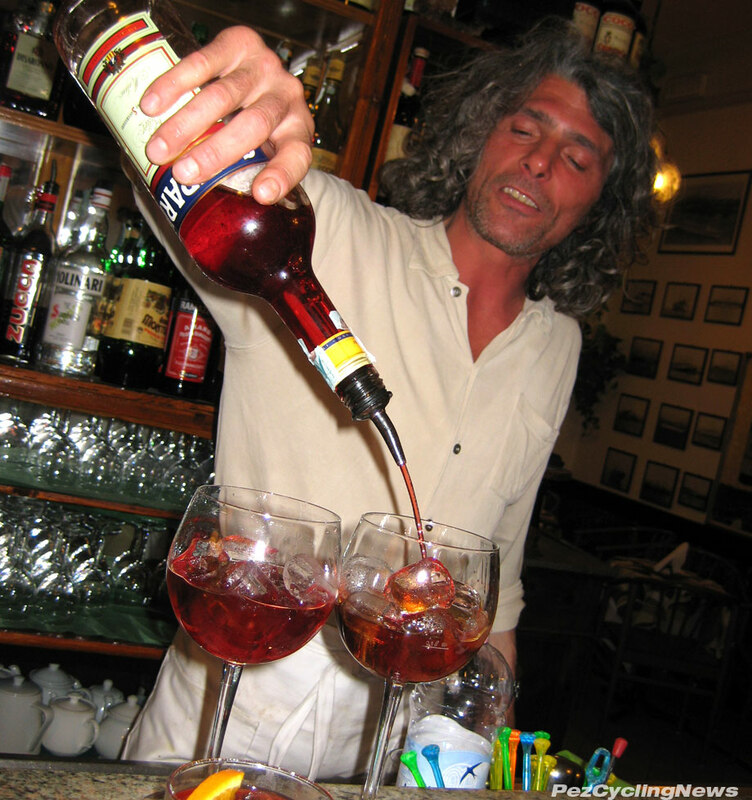 But taking this drink one notch higher is in fact possible, when poured by an authentic Italian bar man. Nothing would be better than not only drinking one of Marco’s expertly made negronis – but in fact capturing the artist at work with the sole purpose of sharing it with Pez-Fans everywhere. A quick Youtube ‘negroni’ search reveals an overpoured and watered down sink full of fake marketing bits, product pushing, and even Wayne’s World-style basement bartenders attempting to impress with tight tee’d tartlets… All of them worth a good flush down the poop shoot if you ask me. … let’s roll that clip. Like any cinematic masterpiece, this one bears some review, because like the negroni itself, you simply can’t appreciate it fully with just one sip. 1. Marco: His personality and enthusiasm are clear and true. He’s not acting any differently than I’ve ever seen him. I love how his first order of business is that “caffé per Giovanni” – nobody goes thirsty in this bar. 2. Technique: Note how he pours with free hand precision. This skill could only have been developed after years doing what he does – pouring drinks. I love how he finishes of the Martini Rosso pour with just that tiny extra bit of “bah!”, and a “da!”. 3. Campari: The bottle almost leaps from the well into his hand, and then he finishes the pour with his eyes closed – pure genius. 5. Mini-Cooper: You gotta love any bartender who so approves of your drink choice he pours one for himself. Marco had about 3 different cocktails going behind the bar that he simply referred to as “mini-Coopers”… small versions of whatever.